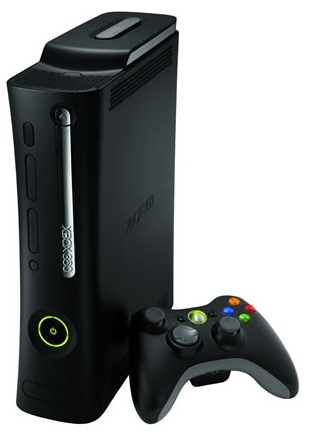 Microsoft has decided to slash prices of Xbox 360 Gaming Consoles ahead of the holiday season. While the cheapest one, Xbox 360 Arcade will remain unchanged, the Pro and Elite versions will see the prices dipping from this Friday. The Xbox 360 Elite will be $100 cheaper and will cost $300 now. But the gamers will be disappointed to find no HDMI cable bundled when they pick up the cheaper Xbox 360 Elite. Till now, the consoles priced at $399 included one HDMI cable. The mid-range Xbox 360 Pro will go down to $250 from $300. Microsoft also indicates that The Pro will be phased-out soon. That leaves us with the $300 Elite with a 120GB hard disk and the $200 Arcade bundled with five games and 256MB memory, without an hard disk. The marketing war between the two giants, Sony and Microsoft, is all set to intensify as we have gaming consoles from both the companies priced similarly. After Sony’s announcing of PS3 Slim’s launch price to be $299 just a few days ago, we see the Redmond based Microsoft slash the prices of its top-end gaming devices to match the rival’s prices. But Microsoft presses that the cut has been in the works for some time and it is not a response to Sony PS3 Slim’s pricing, when asked about it. Consumers now have the option to choose between 2 similarly priced Gaming consoles, where one comes with Blue-Ray and the other with exclusivity of NetFlix. Another option is to go for the Wii which costs $250. Game Developers hope the price cuts will boost sales in time for the holiday rush. This year, the industry has suffered from weak sales thanks to recession and lackluster games which have kept gamers away from spending money on new titles.